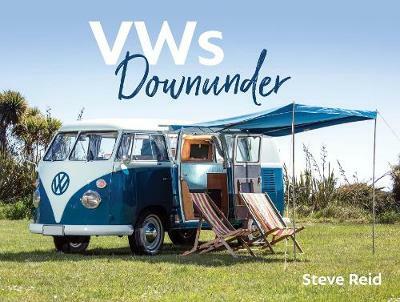 For many decades Volkswagens have been loved and admired by car enthusiasts from all over the world, and Australia and New Zealand are no exception. Whether it be about the Beetle or the Kombi, there are millions of stories out there waiting to be shared. Summer fun just wouldn't... read full description below. For many decades Volkswagens have been loved and admired by car enthusiasts from all over the world, and Australia and New Zealand are no exception. Whether it be about the Beetle or the Kombi, there are millions of stories out there waiting to be shared. Summer fun just wouldn't seem the same without these two great motoring icons. At the beach, on a road trip or cruising around town, they always seem to bring a smile to everyone everywhere, and with that distinctive sound you'll always know when one is close at hand. But there's more to Volkswagen than just the Beetle and the Kombi, as these Downunder enthusiasts will be quick to tell you. Steve Reid is the author of a number of popular motoring books, including Veteran Cars: Amazing New Zealand Collections, and its companion volumes Kiwi Vintage Car Collections and Vintage Trucks and Commercials: Kiwi Collections. Steve is also a regular contributor to Classic Car magazine, and lives in Blenheim.